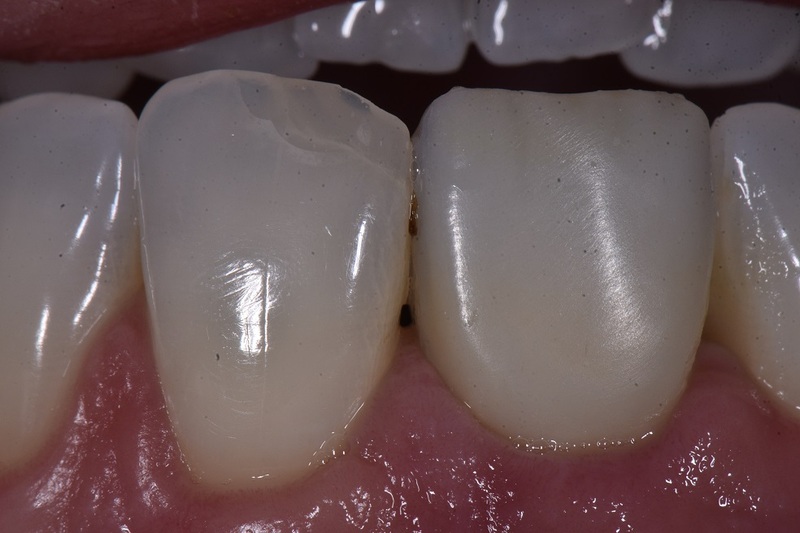 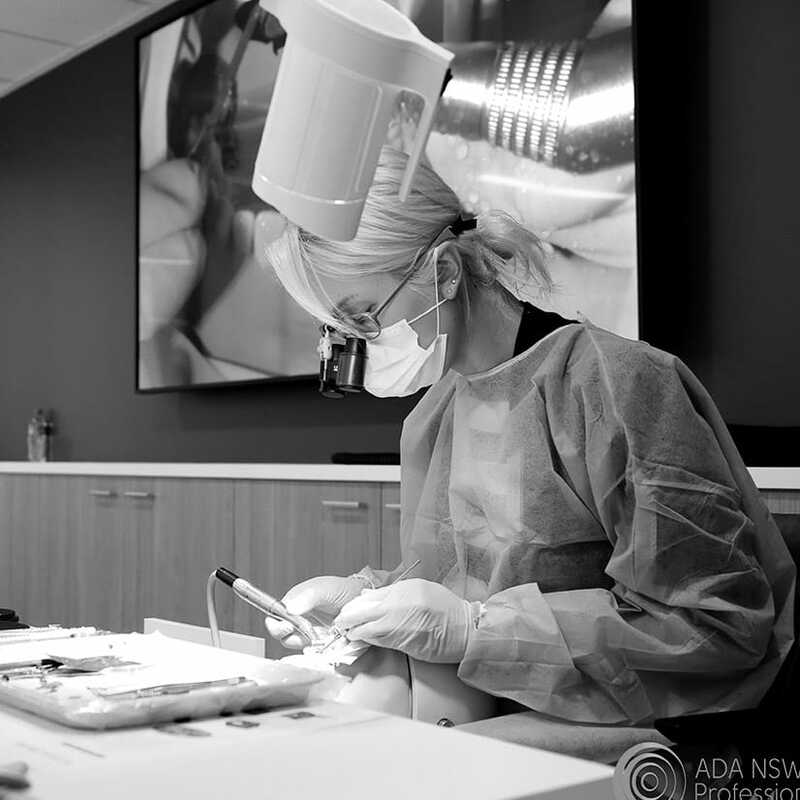 This case underlines why it is important to shape peri-implant soft tissue esthetics using a provisional implant crown to get tissue levels correct before taking your final impression for the implant crown. 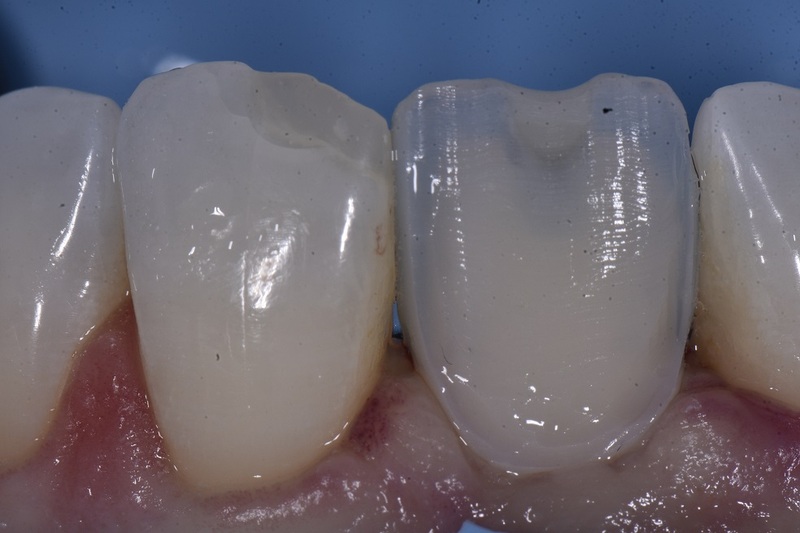 Typically the provisional crown is made as flat as possible along the facial emergence to see “how coronal you can get the tissue” first before modifying the facial contour to push tissue apically if required. 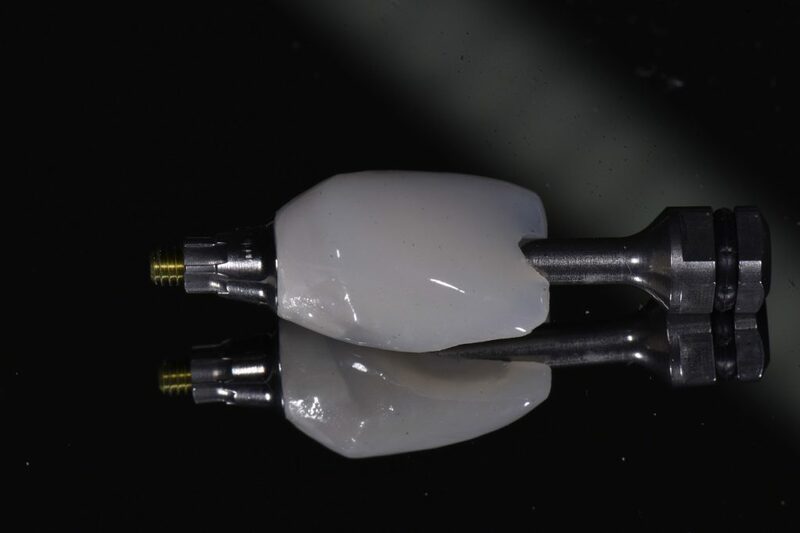 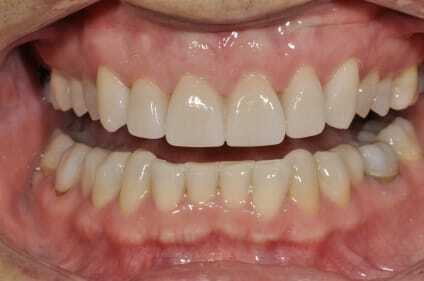 The provisional implant crown made by the laboratory was too stark/high in value and devoid of chroma, so a full cutback and re-layering was completed on Day 1. 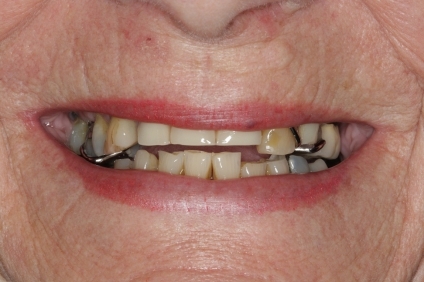 Insertion was facilitated by two releasing incisions along the ML and DL line angles of the transgingival connection. 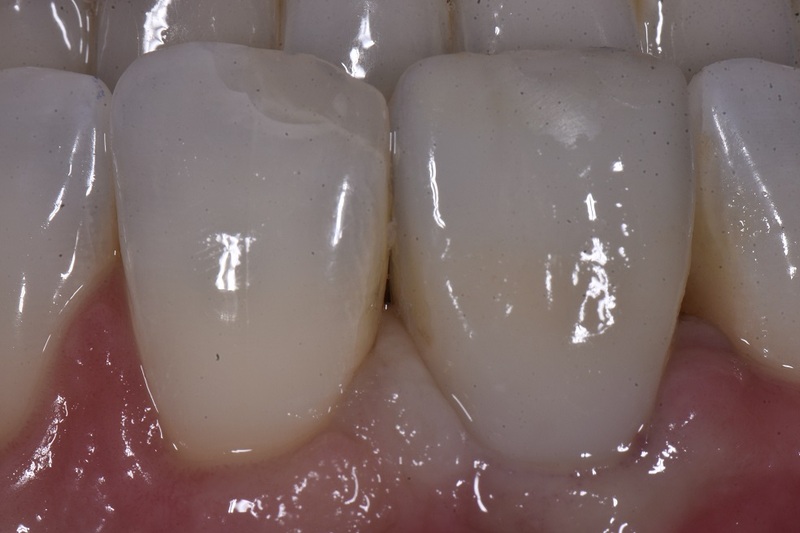 The Ultradent Gemini laser was used to debulk a little tissue tag on the facial gingival margin and to make the contour more regular. 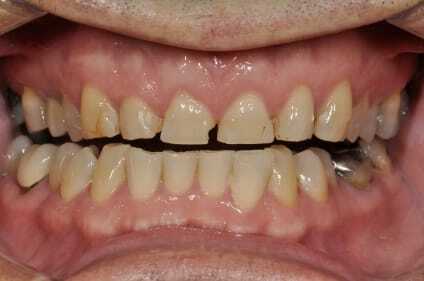 Following a one week healing period, one can appreciate the more coronal level of gingival marginal level on 11 relative to 21. 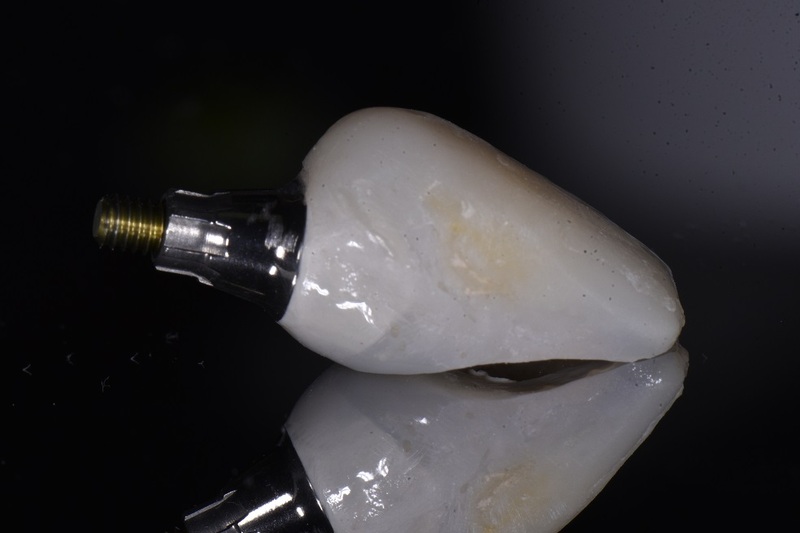 The provisional was removed, and after micro air abrasion with 27 micron aluminum oxide, GC G-Premio Bond was applied and cured before custom bulking out the faciogingival contour incrementally until the margins matched that of 21. 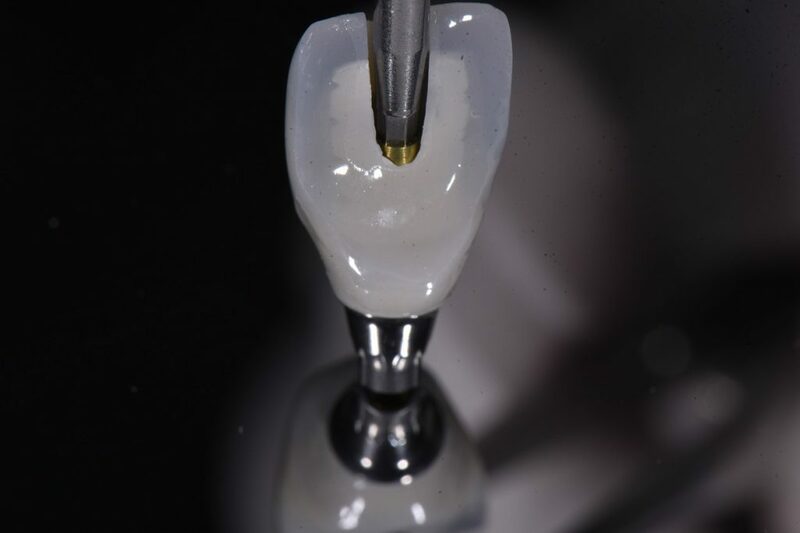 Now we wait for 3 months’ tissue maturation before fabrication of the custom fixture head impression abutment and going to the final implant crown. 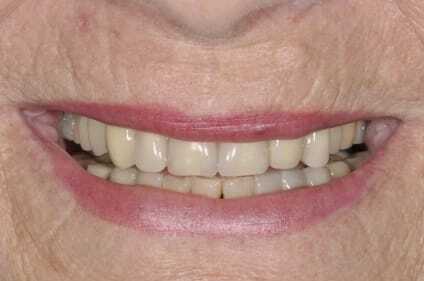 Predictability is everything.